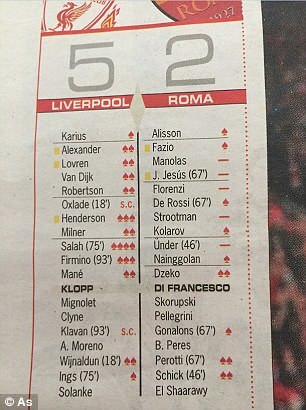 Mohamed Salah had four aces showing in Diario AS’s ratings on Wednesday morning. It’s impossible to be marked any higher. It’s hard to play any better. ‘Tremendous exhibition in 75 minutes’ said its editorial. Marca went further with a full page on why Salah is the player La Liga is lacking. They love taking the Premier League’s player of the year. In 2013 Real Madrid president Florentino Perez watched Gareth Bale crowned the player of the season and the face of the new campaign and plonked down €100m to take him to Spain. A year later Luis Suarez won Player of the Year and Barcelona waded in with £65m to take him to the Camp Nou. Four years on a Spanish club would have to put those to figures together and then find a further €40m if they wanted Salah. 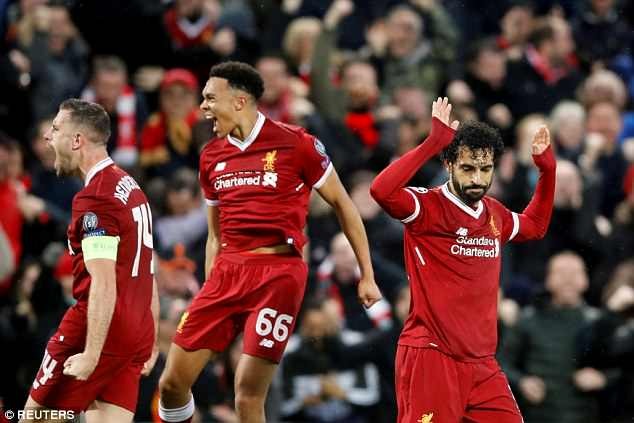 It is accepted in Spain that nothing less than €200m would bring Liverpool to the table. His signing would be great for La Liga as Marca point out but the more pertinent question is: Would it make sense for the big two. Barcelona are unlikely to make any attempt. Why buy the Red Messi when you have the original? They don’t have €200m. 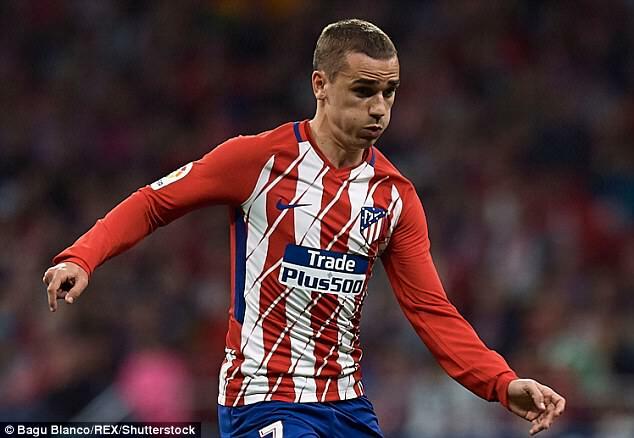 And they also have Antoine Griezmann on his way for half that amount. Real Madrid will be the buying club if anyone swoops this summer. The problem for Real Madrid is how they juggle the long-held desire to sign Neymar with a move for someone who would swallow up the budget to bring the Brazilian. Neymar continues to show signs of discontent in Paris. The biggest sign being that he is not in Paris. And has not been ever since injury ruled him out of the rest of the season. PSG president Nasser al Khelaifi visited the player during the first weeks of his recuperation and made it clear it wanted him back in France to celebrate winning Ligue 1 with his team-mates. But he remains in Brazil. Coach Unai Emery who will not be at the club next season has been one of Neymar’s staunchest defenders this season. 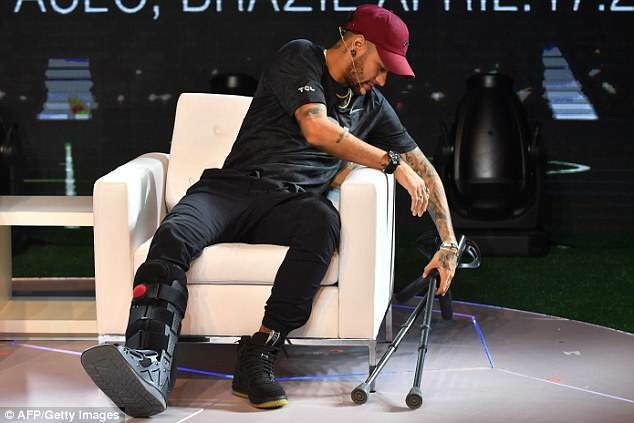 He said he thought the player would return in a matter of weeks but it now looks like months, if at all with the World Cup on the horizon. Madrid understand that while PSG will not let Neymar go this summer and are not obliged to negotiate with anyone, there is a clause in his contract that allows him to leave in 2019 for the same €222m that PSG paid for him last year. That conditions what Real Madrid do this summer. Eden Hazard and Robert Lewandowski have emerged as ‘gettable’ targets. 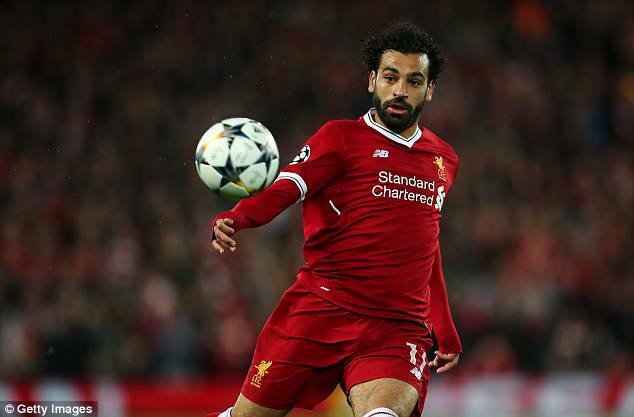 Both the Belgian midfielder and the Polish forward want to come and Madrid feel they could sign them both for well under the sort of money it would take to prise Salah out of Liverpool. As Barcelona learned last summer – dealing with Liverpool is no longer as easy as it was. 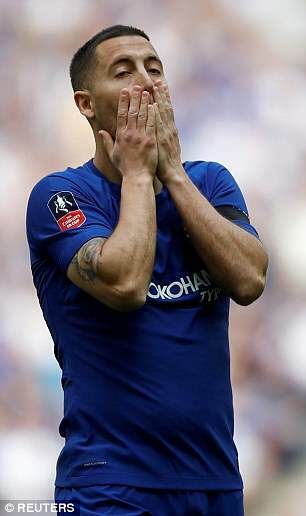 They will not let their prize asset go wtihout smashing the transfer record set in January by Philippe Coutinho. The one variable that could change things is the way the season ends. Madrid are on a Ronaldo-inspired crest of a wave at the moment. If they were to come crashing down against Bayern Munich then there might be more willingness to make a statement signing this summer. 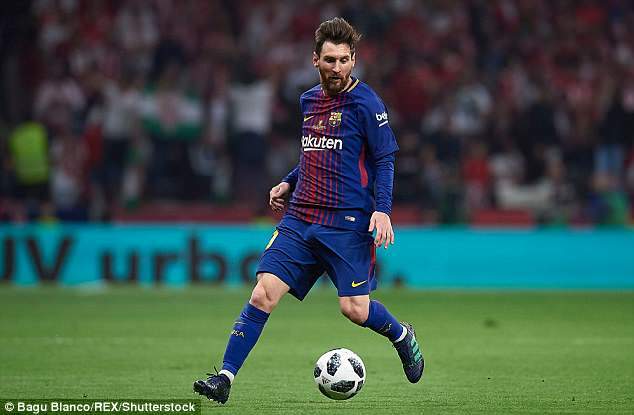 None of that will stop La Liga looking enviously on as the Golden Shoe winner in waiting continues to ply his trade in England. Six-a-side football in Spain is known as ‘Futbol Sala’, so the pun is an easy one for headline writers. Barcelona’s Mundo Deportivo dedicate almost every front page to Lionel Messi but this morning’s was for the Red Messi. 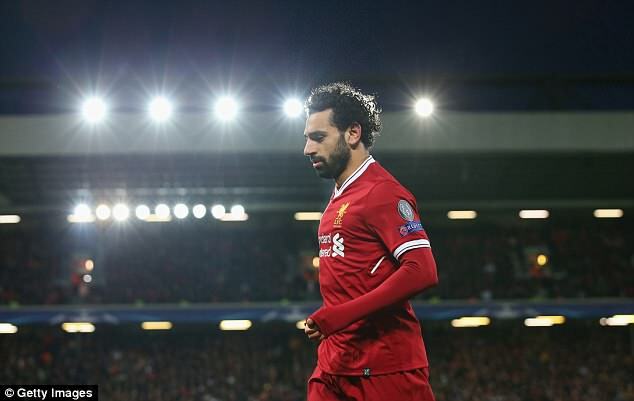 ‘Fubol Salah’ was the headline, it summed up his incredible performance perfectly.